It’s a brand new year, and most people are deciding what goals they will set in order to improve their lives. 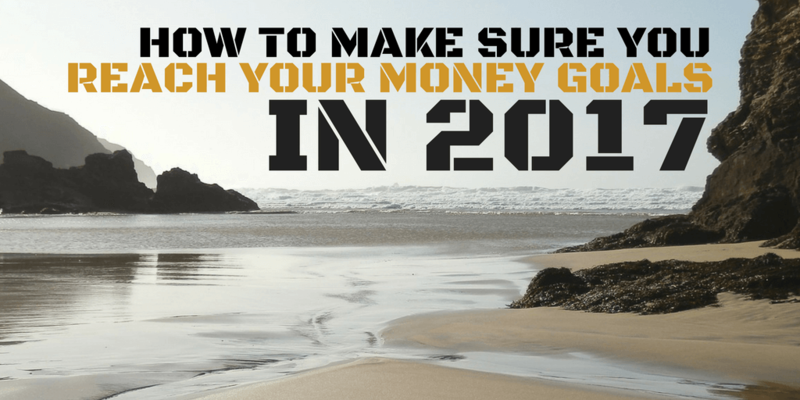 Most New Year’s resolutions involve making financial changes whether you want to pay off debt, save more, earn more, stop living paycheck to paycheck or start building wealth. While it’s great to set goals to improve your finances, you should focus most of your attention on determining how you’ll reach your goals by the end of the year. January is the time for goal setting while the other 11 months are the time when you should be taking action and staying on track. It’s easy to lose focus and steam throughout the year so be sure to consider these three tips when setting goals that you are eager to achieve this year. You should always start by setting realistic goals. If you have $50,000 in debt for example, it may not be as realistic to set a goal to pay the entire amount off this year. That would mean you’d need to make monthly payments of around $4,166 which doesn’t even include interest. Instead, break up that goal and be realistic about how much you can put toward your debt each month. If you adjust your budget and determine how much money you’ll have left after you cover all your regular expenses each month, that should give you a good idea of what you can afford to pay on your debt. As a realistic goal, you can set your debt repayment target at $6,000 for the year with the intent to increase the amount you pay on your debt in future years depending on how well the next 12 months go. What’s your strategy for meeting the goals you set? It’s important to put a detailed plan into place regarding what actionable steps you will take to reach your goal. This is why setting SMART goals is so helpful. SMART goals are specific, measurable, realistic, and time-based. For example, if you want to add $5,000 to your emergency fund by the end of August, that’s a specific, measurable time-based goal but you need to make sure it’s realistic. In order to set aside, $5,000 in 8 months, you’d need to contribute at least $625 to your emergency fund per month. If you can squeeze out an extra $200 to set aside each month after lowering some of your expenses, then get a second job or find a side hustle to allow you to come up with the remaining $425, that makes your goal seem more realistic and reasonable. You could also go a step further and opt to put your savings in a high yield online savings account so you can earn interest on your balance. Setting clear SMART goals is a great strategy for success. Finally, you aren’t going to get far with your goals if you aren’t accountable. I like to think that setting your goals and mapping out your plan is the easy part. The hard part is when life throws you curve balls throughout the year like when you get a flat tire and need to spend an unexpected $400 or when you get sick and have to take a week off work. Unexpected events and expenses along with the pressure to always be on your grind can wear you down over time and tempt you to give up on your goal. This is why it’s great to hold yourself accountable or find someone who can. You can check in with yourself monthly or answer to a friend or family member so it won’t be so easy to quit. You can also join a challenge group or an accountability group online. There are so many Facebook groups (ex. Dream Catchers) for accountability along with plenty of saving and debt payoff virtual challenges you can join to connect with people who have similar goals as you so you can motivate each other to succeed even during the tough times. If you’ve set some steep financial goals for 2017, you’ll want to keep these three tips in mind so you can be successful and avoid throwing in the towel too early. 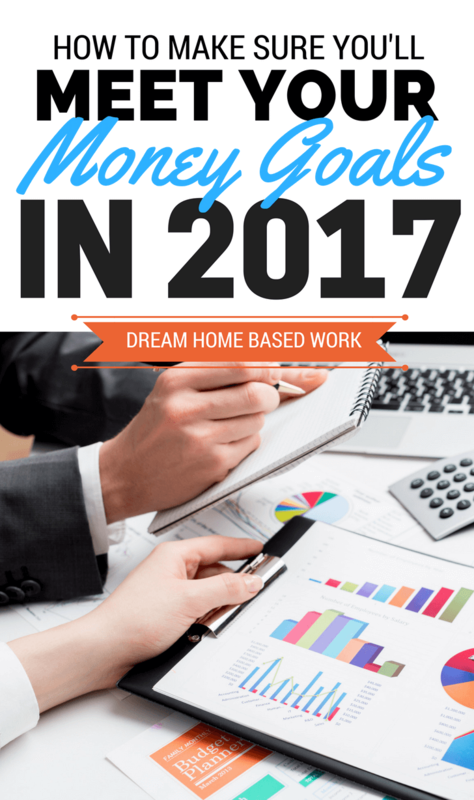 Have you decided on your financial goals for 2017 yet? What actions will you take to reach them?